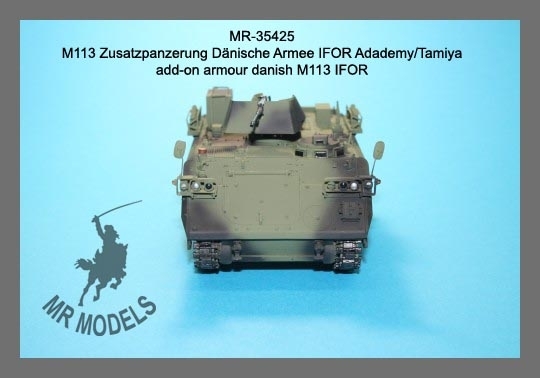 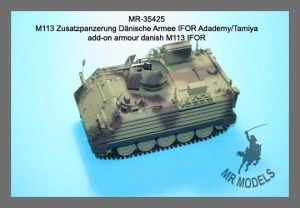 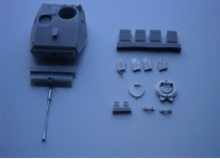 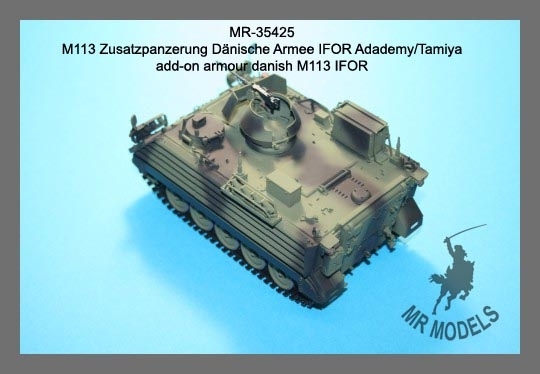 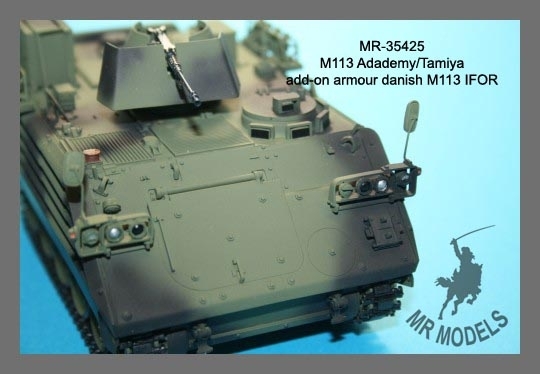 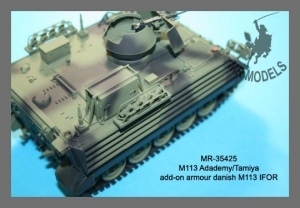 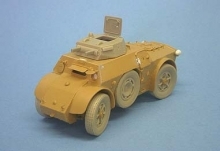 Upgrade for Academy M113A1 (as shown here) or Tamiya kit. 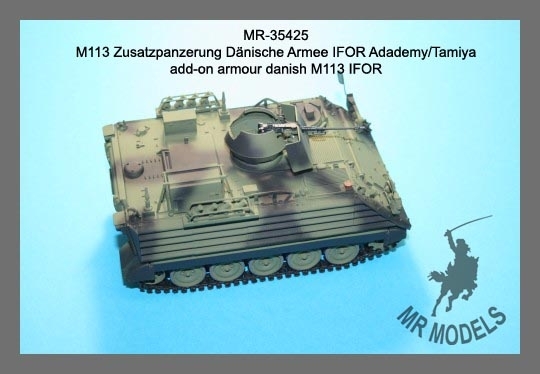 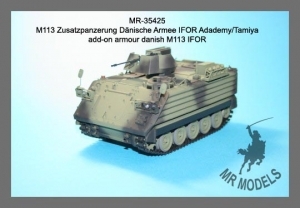 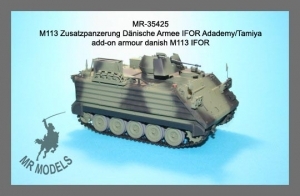 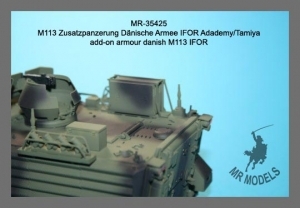 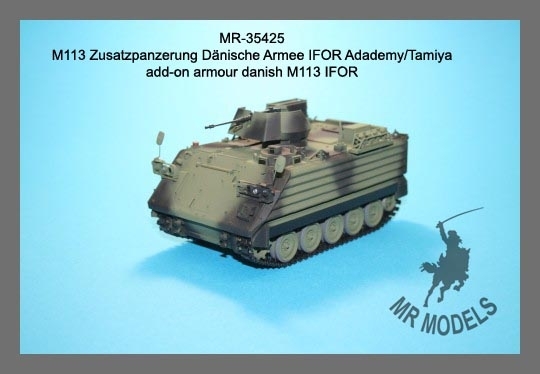 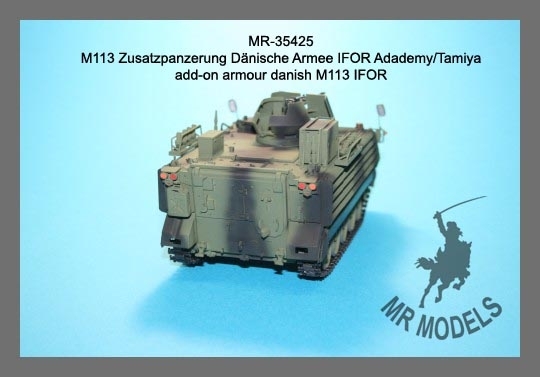 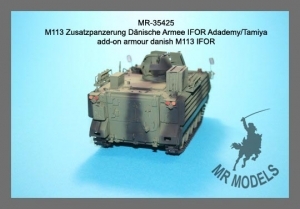 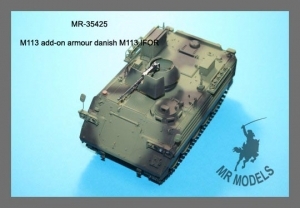 For models of Danish Army M113A1 during UN and IFOR missions in former Yugoslavia in the 1990 years. Designed for Danish M113A1 without external fuel tanks, contains front, side and rear armour panels, ramp with add-on armour, tow hooks, Danish headlights and tail lights, Danish smoke mortar racks with protective guards, generator and stowage boxes for hull roof, new improved engine deck segment with optional Diesel exhaust, driver´s hatch lid, tow hooks, antenna bases and several small parts for detailing of the kit.